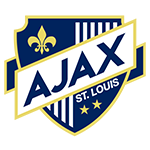 AJAX Amsterdam (2006 Boys) will be competing in the Championship Division of SLYSA in the fall. We are looking for players at all positions. We have a great team chemistry, family mentality, and encourage the multi-sport athlete. As coaches, we care about our boys and their development. Kick-arounds will be scheduled and posted soon. If interested, please contact Paul Luzecky at pluzecky@gmail.com or call 314-623-2400. Thank you! 2007/2008 Girls (Ajax Black Cats) – Existing team looking to add a couple of field players for the Fall 2019/2020 Season. Players should be born in 2007 or 2008. We will be inviting interested players to our practices for tryout purposes. Please contact Coach Matt Frank 314-717-8528 or mjfrank2552@gmail.com.